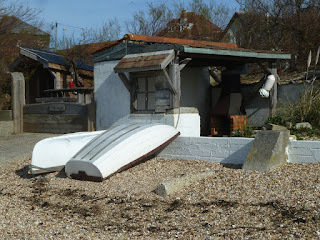 Walking along the foreshore by Hill Head a few of the houses have summerhouses or I guess you could call them cabanas on the edge of the shingle beach. 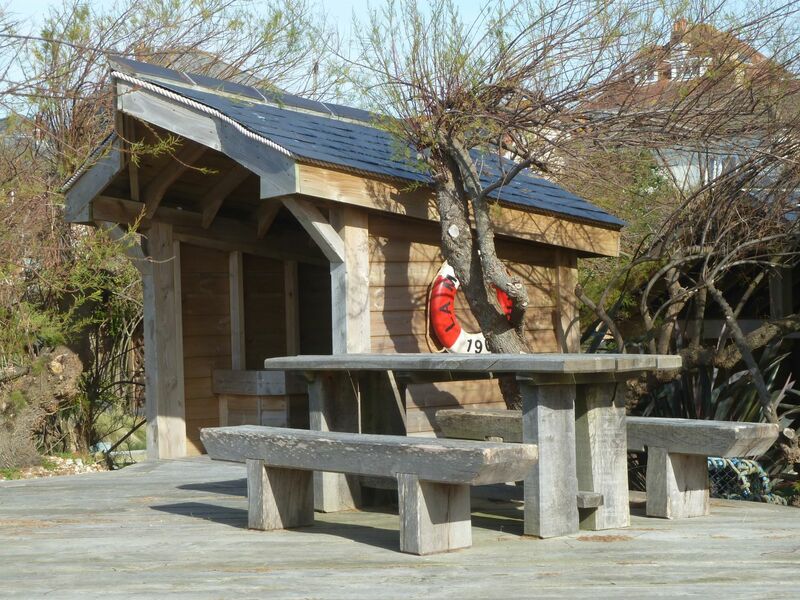 Above definitely a cabana, if it had palm roof it could almost be a tiki bar, then again if you look closely there's a wood stove to keep things warm which is probably just as well given our climate and the fact that all these huts face the prevailing wind. Modern garden building design (above) meets North African inspired concrete (below)? There are two of these structures which apart from the decorative bricks over the door and windows made us wonder if they were wartime structures? Any one of the above would be a great place to watch the sun setting over the western Solent with a beer or glass of wine and something cooking on the barbecue. 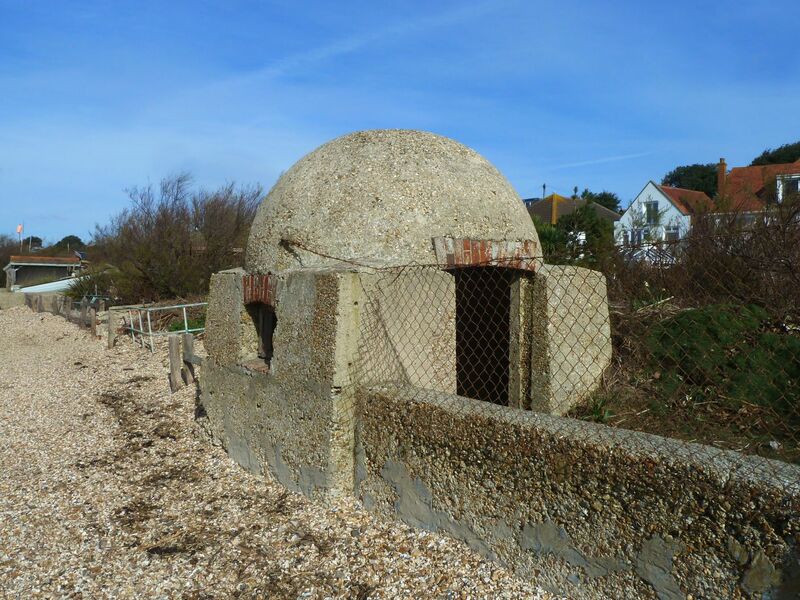 Last one certainly WWII.. machine gun pill box.. dome would have been a blast deflector....? I'd rather not have to retreat to a machine gun bunker. If you painted the dome of the structure in the last photo and placed a cross on the top, you could almost imagine you were in Greece.